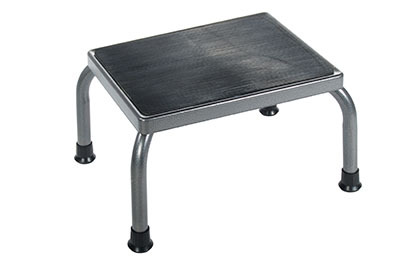 Non-skid ribbed rubber platform with reinforced rubber tips, steel welded silver vein construction, 11" L x 14" W x 9" H, 300 lb weight capacity. 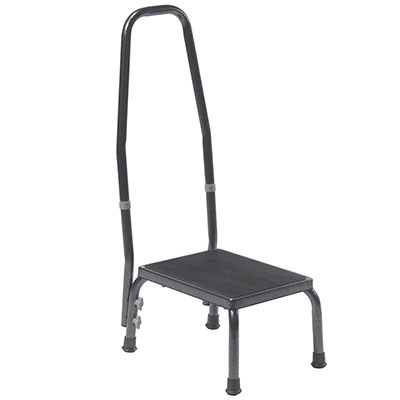 Dimensions: 11" x 9" x 14"
The Heavy Duty Bariatric Footstool with Non-Skid Rubber Platform and Handrail allows users to safely and confidently reach higher items. Its nonslip surface and nonskid feet ensure secure use, great for items in upper cabinets or tall shelves. 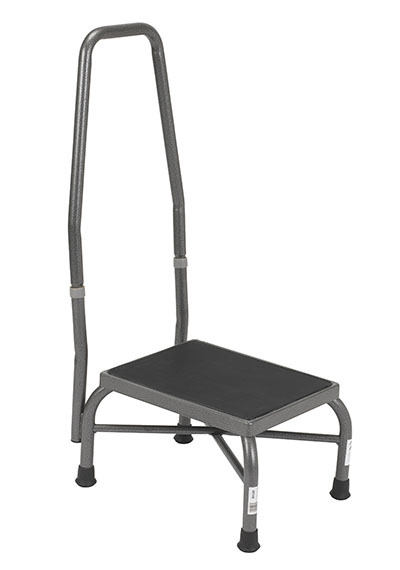 Plus, the stool's extra strong steel cross brace construction can accommodate users up to 500 lbs. Dimensions: 13.25" x 9" x 17"